As a registered trademark, licensed, bonded and insured HVAC contractor specializing in the heating and air conditioning field, we have the tools, equipment and the professional experience to keep your residential and commercial HVAC equipment operating smoothly all year long. We provide expert furnace repairs, air conditioner repairs, rooftop HVAC repairs, heating repairs, air conditioning repairs and all residential, commercial HVAC emergency repair services for most major brands of equipment. 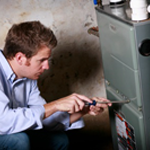 We are Furnace and Air Conditioning Repair Specialists. Let us show you why we provide quality, superior and professional heating and air conditioning repair services for more homes and commercial businesses throughout Chicagoland and surrounding suburbs. See our areas we service. If it is emergency repair service you need, we are available to assist you, 24 hours a day, 7 days a week. Contact us at 630-652-0027. To help reduce those emergency repair services, we offer Residential and Commercial maintenance service agreements to keep your home or business comfortable and operating at peak performance. American Standard, Carrier, Trane, York, Rheem, Lennox, Ruud, White Rodgers Thermostats, Burnham Boilers, Dunkirk,Weil-McLain, Lochinvar, Liebert, Bradford White, Heil, Tempstar Furnaces, Goodman, Air Conditioning Repair, Bryant, Comfortmaker, Luxaire, Janitrol, Sanyo, Panasonic, Aprilaire, Buderus Boilers, Honeywell, Payne, Armstrong, LG Ductless AC, Delfield, True, Hoshizaki, Scottsman, Coldpak, Mitsubishi, Solaronics, Tappan, Coleman, Bell and Gossett, Carrier Furnaces and Air Conditioners, ICM Controls, Robertshaw, Erie Controls, Ranco, Sears, Emerson, AO Smith, York Furnaces and Air Conditioners, Turbo Air, Amana, Maytag, Gibson, Grundfos Pumps, Navien, Borg Warner, Unico, High Efficiency Air Conditioners, Space Pak, Modine, Fujitsu, Braeburn, Taco Pumps, Maxitrol, Lennox Furnace and Air Conditioners, Bard, Furnace Repair, Arco Aire, Centurion, Nordyne, Singer, Parker, Intertherm, Dukane, Siemens, General Electric, Armstrong, Weatherking, Friedrich, Frididaire, Danfoss Heating, Bacharach, Furnace and Air Conditioners, Fedders, Amtrol, Laars, Mueller, Empire, Rooftop HVAC Repair, Fenwal, Humidimist, General Filters, Trion, Lux, Climatrol, Peerless, Commercial Filters, Day and Night, Dayton, Reznor, Hastings, ADP, Laars, Johnson Controls, Kenmore, Pinnacle, International, Utica, McDonnell and Miller, Whirlpool, Ductless AC Unit Repair, High Efficiency Furnaces, Teledyne - Laars, and American Standard Furnaces and Air Conditioners.